Irene Loves Elephants: August 3rd This Is Bugging Me! Today I saw this beetle in the garden, and have seen these before. I have always presumed it was a different coloured ladybird. And then thought maybe not. So I came inside and asked my best mate Mr Google, by doing a reverse image search.The result? Mr Google replied that it was an insect. Now it is bugging me if it is just a different coloured ladybird or something else. Can someone tell me please? They are very unusual aren't they! Some years ago I looked for information as to whether they are ladybirds, and they are. It is almost as if you would expect to see your reflection in their wing covers! I love ladybirds. This is some info: The Steelblue Ladybird is a small (length 4mm) hemisphere shaped and is dark metallic blue in colour. When viewed from above the wing covers are a complete circle. It is native to eastern Australia. 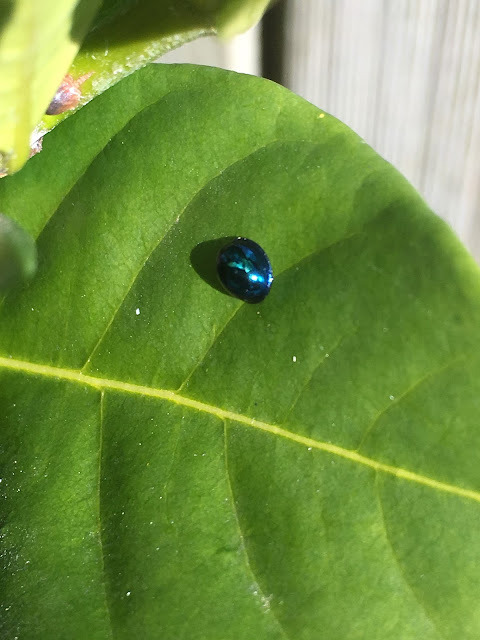 The Steelblue ladybird was introduced to New Zealand as a biological control for citrus insects pests from Australia in 1899 and 1905 for the control of black scale and blue gum scale.